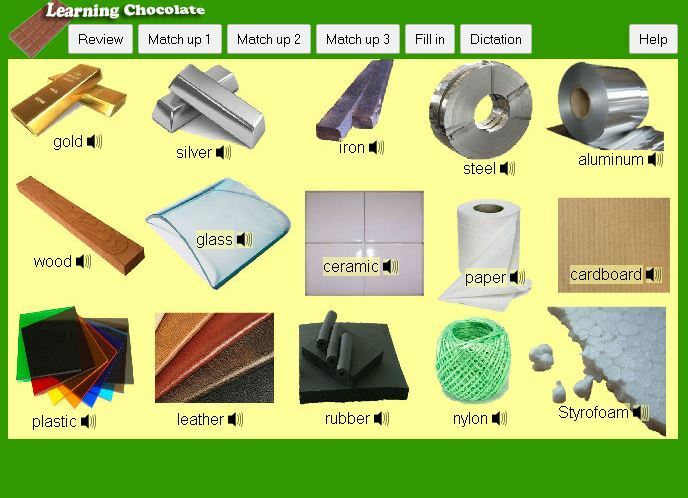 Learn the names of the different types of material that things are made of. Do you know the word 'steel'? Do you know the word for the material tiles are made of ? Look at the pictures, listen to the words and see how many words you can match up in the games.